Bed Bug Treatment & Control | ABC Pest Control Inc. Bed Bugs have become a major problem for not only homeowners but also businesses. With the ease of travel today, and hundreds of flights regularly entering the country, it will just be a matter of time before you too are involved in some way with bed bugs. Bed Bugs infest homes, cars, workplaces, movie theaters, schools, and child care facilities no matter how clean the area is. Once an infestation is discovered, professional treatment must be made to end the infestation. 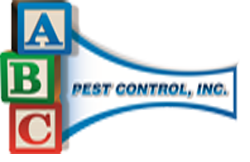 ABC Pest Control, Inc. has been providing effective solutions for controlling Bed Bug infestations in residential homes, and commercial buildings throughout the Central West Florida region for over 30 years. ABC provides bed bug removal for hotels, motels, apartments, hospitals, college dorm rooms, nursing homes, and residential Homes. Our team of highly qualified management staff and experienced field technicians are among the very best in the industry for eradicating bed bug infestations. Our field technicians are considered experts when treating bed bug infestations in residential homes, and commercial businesses. We treat all of Pinellas County, Hillsborough County, Pasco County, Manatee County, and Hernando County. Our technicians have received, and continue to receive, ongoing training in biology and the habits of Bed Bug Management. This is Certified through the Florida Pest Management Association, the National Pest Management Association, Local Chapter meetings, conferences, and the University of Florida. We actively train in order to perform precise inspections of infested areas, accurately identify the pest (bed bugs), and properly administer treatments to eliminate the infestation. 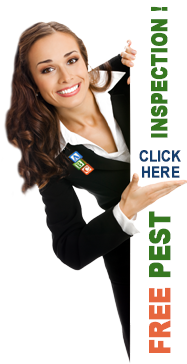 When you hire ABC Pest Control, you can count on our expertise to eliminate your problems.